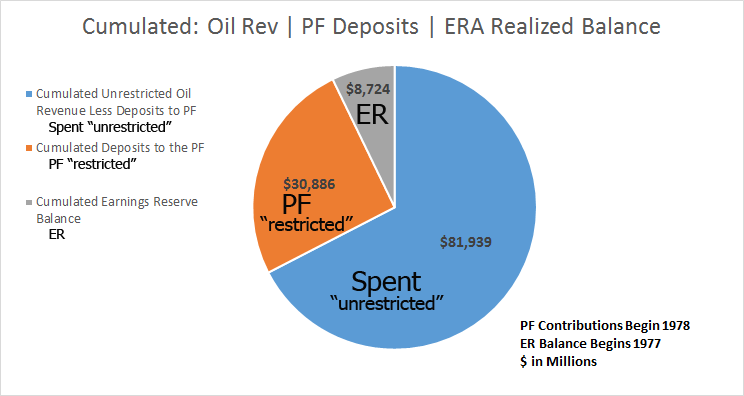 The Permanent Fund, including the Earnings Reserve Account (ER), does NOT belong to Governor Walker, the Sovereign State, the Legislature or any individual, UNTIL it is legally appropriated by the legislature as a PFD. An Individual investor normally “owns” his or her investment (in this case the PF corpus) as well as any return on their investment (profit or loss). This common sense is also true of the ER. the permission of the owner… no matter how badly they may want to, …no matter what they may ‘need’, or no matter what wonderful thing could be done with the money. This common sense is arguably also true of the ER. Arguably*, all or part of the investment earnings (ER) cannot simply be taken without the specific consent of informed people of Alaska. Nothing but a vote of informed Alaskans should authorize legislative appropriation of this money. To avoid a political debate, those who benefit most directly from sovereign spending have used smoke and mirrors to convince many Alaskans they have not been paying a fair share of taxes and should therefore allow them to siphon revenue from the ER in lieu of taxes. This ignores the fact that Alaskan’s natural resources have underwritten more than 80 Billion over the past 40 years. These sound bites may represent some noble elements, but they all have one ignoble thing in common; the siphoning of a portion of the ER to be spent as unrestricted general funding, something legislatures have largely avoided over the history of the PF. Siphoning money from the ER into the general fund is a very bad idea – it demeans the value of individual ownership and responsibility and further erodes Alaskan’s sense of ownership of the natural resources and the government they have been funding. * I use the term “arguably” because there are clearly those who disagree. 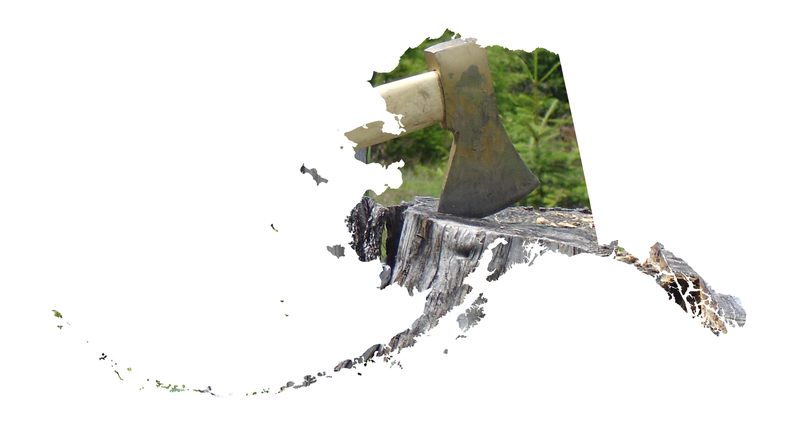 I am not an attorney but am appealing for application of plain language of the constitution and the implied intent of Alaskan forefathers and the laws they put in place (by previous legislators and governors), to provide a real return (the PFD) to Alaskans to parallel sustainable programs, infrastructure, and services that are paid for with the other 75% of returns from natural resources. It is sobering to realize that the argument must be made in blogs like this instead of in a proper court of law. Keep in mind the “people” have no designated attorney to make this argument! The Alaska Attorney General is appointed by, and serves at the pleasure of, the Governor who apparently disagrees. If this ever goes to court, we would have a shocking conflict of interest issue to deal with. 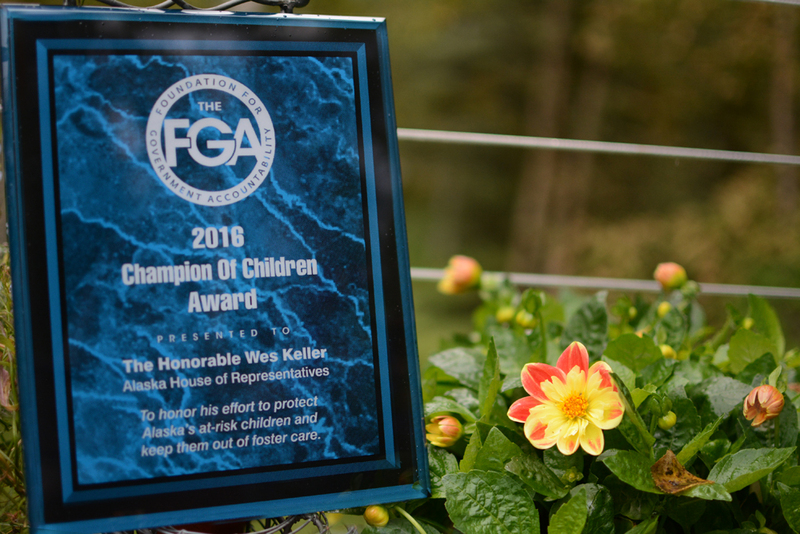 I am honored to have received this Champion of Children Award from the FGA, for the Alaska’s Safe Families legislation (HB201/SB180). You can see the recommendation letter in full below. Where does Alaska’s Legislature get its money? Where has the legislature received the money to create our overspending habits? The Alaskan Legislature, unlike any other state, has never had to cope with passing broad-based tax laws as part of our fiscal equation. As we all know, the Alaska Constitution, Section 9.15, allows a huge 75% natural resources money to flow directly into the general fund ($80+ Billion so far). We are finding the culture of over-spending from this money very difficult to reform. Those closest to the spending (at the public trough) are tenaciously protecting their source. The geographically isolated budget process is heavily influenced by spending advocates who have the easiest access to Juneau. 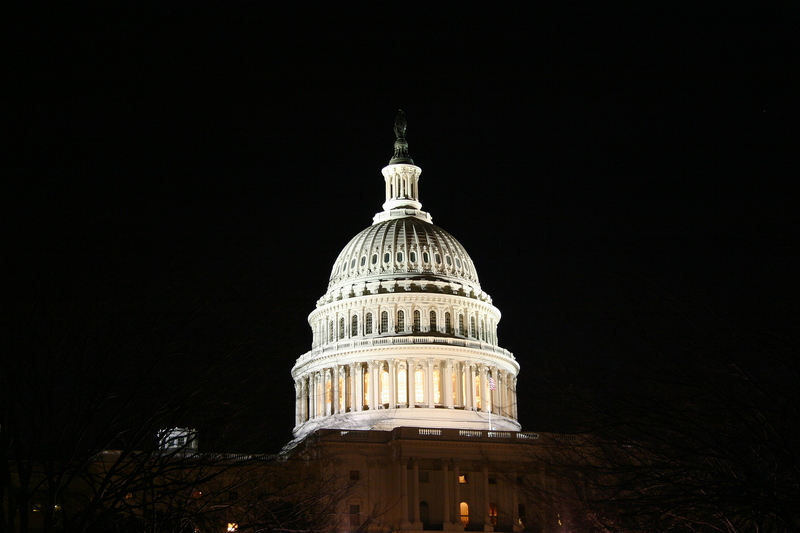 The healthy tension related to tax legislation (typical in other states) is missing. The legislative power to spend has not been tempered by the legislative liability to tax politics. The constitutionally established ‘tax’ on the people’s commonly owned natural resources (not typically called a ‘tax’) has become all but invisible until now when it is going away. While the crisis is difficult to accept, it is very easy to understand. It is a ‘zero sum game’ quickly boiling down to reality. We cannot spend what we do not have. One result of your time in office seems to be that more and more Alaskans are becoming aware that the fiscal crisis is real and must be dealt with. Alaska State government spends far more per capita than any other state. Spending advocates have again prevailed in our most recent budget process, now the Governor has the opportunity to use his veto power to eliminate wasteful spending. Article 2.15 of our constitution is very clear – the Governor can simply veto to balance the budget, unless the legislature musters super majority to override… something highly unlikely when many have worked very hard for cuts. A veto of the appropriation for permanent fund dividends, however, is a terrible idea! This particular veto would not reduce the budget deficit because the vetoed funds would simply stay in the Earning Reserves account (the source for PFD checks) until the legislature re-appropriates. Veto power does not extend legislative power to the Governor to ‘restructure’ the permanent fund… that belongs exclusively to the legislature. Besides, even if the entire PFD appropriation were vetoed, Alaska’s spending per capita would still be the highest in the nation. Alaskans would be deprived of inherent personal property rights and we still have the world-class overspending problem. Over the past couple years, we have been working on the Alaska Criminal Justice Commission (ACJC) to reform how we handle crime in Alaska. 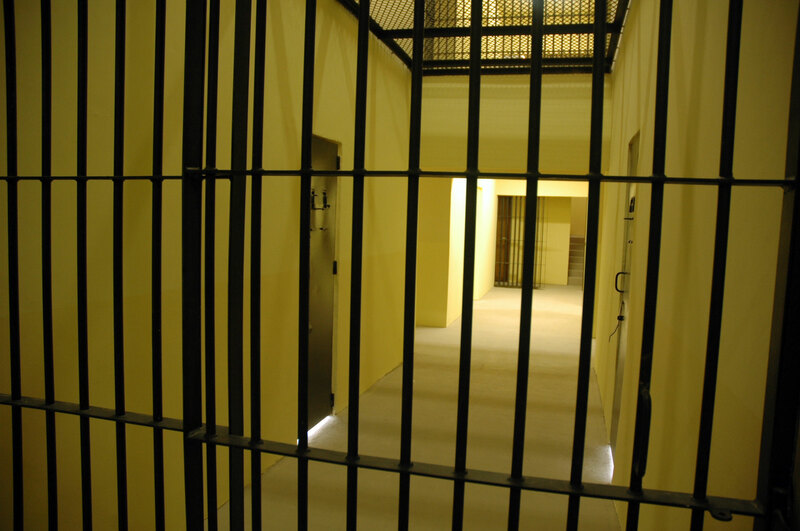 Currently, two out of three people coming out of prison fail and get rearrested within three years. At the current rate of growth in the inmate population, despite the large new correctional facility (Goose Creek), the state’s prison bed capacity will be surpassed by 2017. After many meetings and much study and discussion, the Commission made 21 consensus recommendations. These reform recommendations made up the bill introduced as SB91. SB91 is projected to reduce the state’s prison population by 21%, which would save an estimated $424 million over the coming ten years. 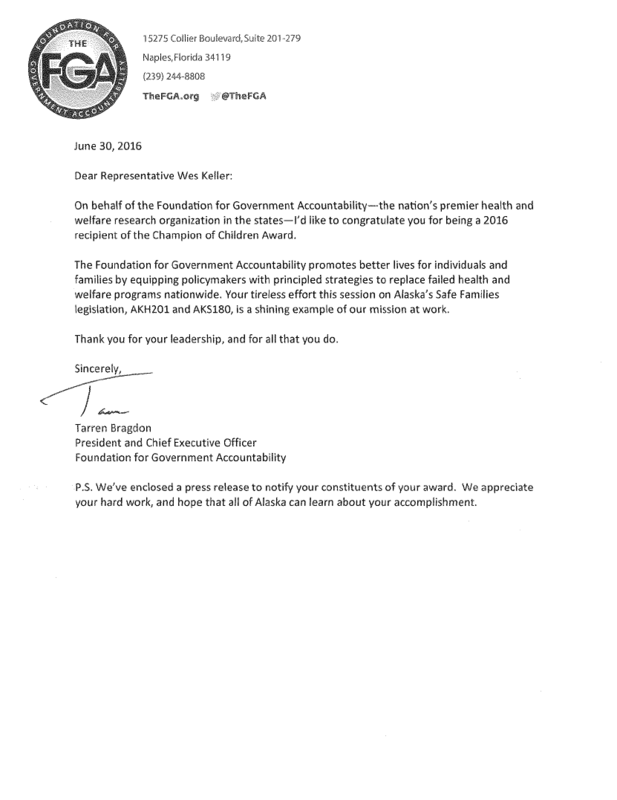 We are excited to see these reforms come into effect hoping to keep Alaskans safer than ever! In HB 156, a strong non-budget bill, we were able to delete a mandate on the Department of Education and Early Development (DEED) to “implement” over 500 pages of federal education regulations. The Federal law clearly still exists and has higher authority, but this deletion allows for a broader base interpretation of what is being mandated and allows for a response appropriate for a sovereign State. HB 156 also requires DEED to pause testing requirements until we have an acceptable State testing plan that takes into account local school needs. The fundamental principle of this bill is for parents to be in charge of their child’s education. SB74 begins the process of reform and cost containment needed to slow the growth of the Alaska Medicaid program. The current and former administration have testified the Medicaid program, as it stands, is not sustainable. Low oil prices and billions of dollars in revenue shortfalls have forced us to change how we do business. In July of 2013, the Medicaid Budget Group of the Department of health and Social Services reported the total spending on Medicaid Services will reach $6.3 billion in 2032, including $2.8 billion in state matching funds. They stated if we do not act now to bend the growth curve of Medicaid, many of our most vulnerable Alaskans will be without the critical health care services they need. 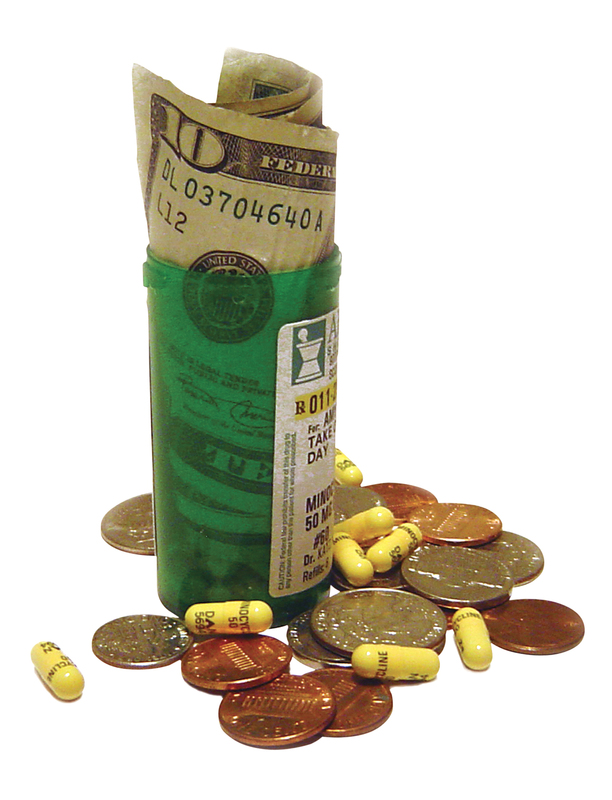 The State Legislature passed substantial Medicaid reform. The underlying principle is called Coordinated Care. This takes a holistic approach to case management and using all available technologies to improve the care delivery. SB74 reduces waste and redundancy in Medicaid usage, billing and delivery. The components of reform and coordinated care include Telemedicine (breaking barriers to behavioral health), Pharma-Control (preventing abusive drug shopping), Travel Smart (preventing redundant trip requirements), and Better Oversight (vet real claims smarter, fighting fraud and abuse). SB74 takes a measured approach by setting a medical framework assistance and reform program into statute. This program requires the Department of Health and Social Services to expand the use of telehealth, enhances fraud prevention, enforcement, and recovery. It also undertakes additional pharmacy initiatives, reduces the cost of the state’s home and community-based services with a new waiver program, and provides electronic explanation of benefits to recipients, as well as referrals to a range of community and social supports. In the next five years, the savings projection for the State of Alaska is around $479 million.